Our technicians are trained to out perform and outlast the competition. They are very knowledgeable and will answer all of your questions. Someone is always by the phone waiting for your call, day and night, if you run into any predicament and lock your keys in the car or house, no problem! We provide 24 hour emergency service to help you. Ask about our coupons and discounts when you give us a call today. Chances are we probably have a deal just for you. 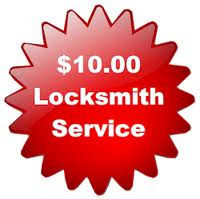 Mention this website, and we will deduct $10 off of your service call.